Using named day delivery: Order this product within 5 hrs and 50 mins for guaranteed Tuesday delivery. 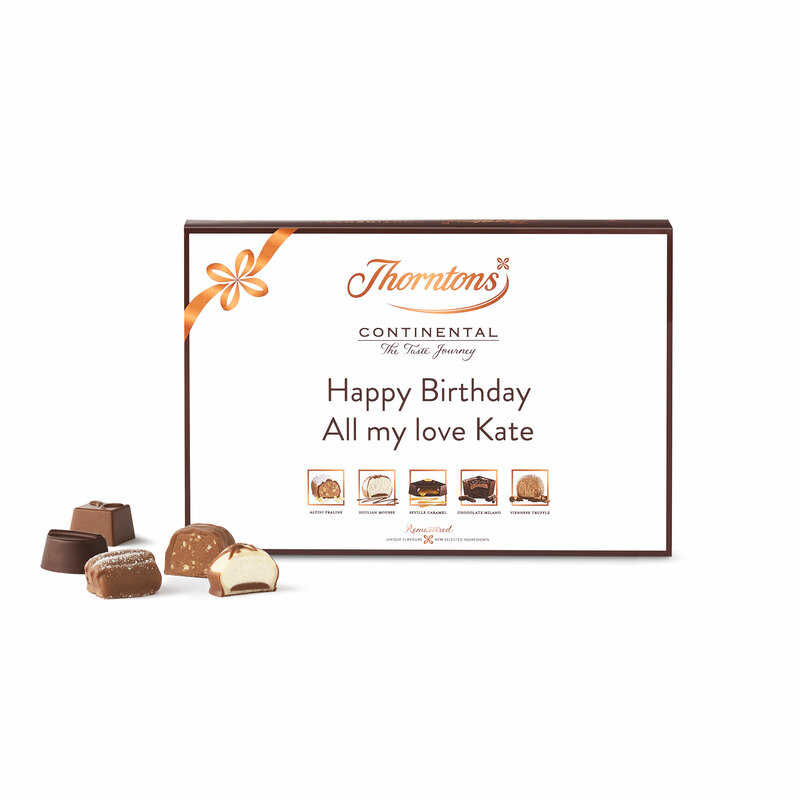 Taking inspiration from every corner of Europe, Continental has long been seen as a masterpiece of chocolate making. 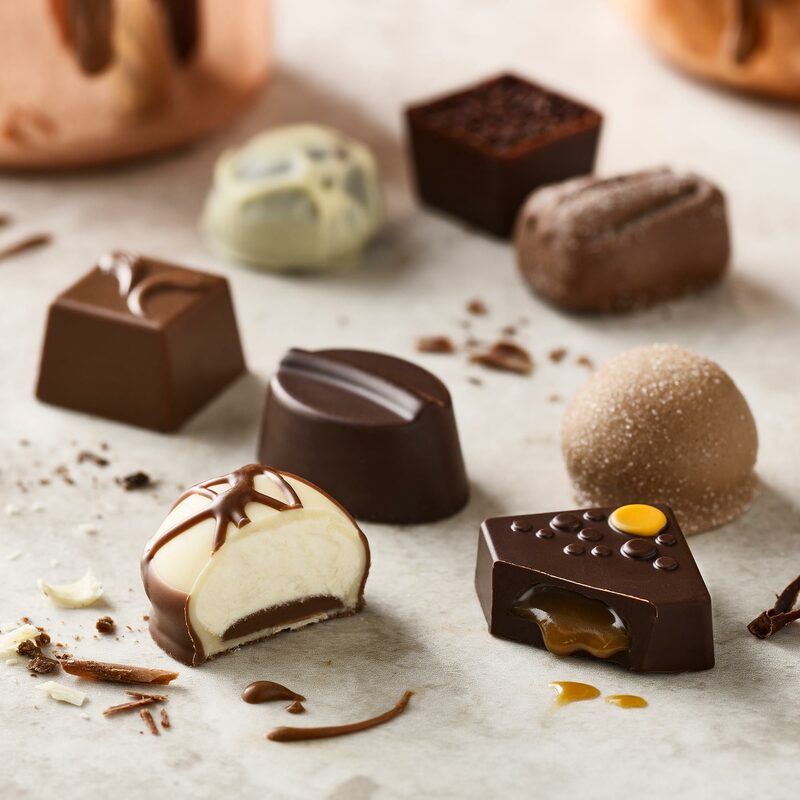 Now that masterpiece has been remastered with new recipes, and each of these spectacular milk, dark and white chocolates is even more captivating. In continuous pursuit of perfection, our chocolate makers have travelled across Europe in search of ingredients that will help them turn the amazing into the magnificent. 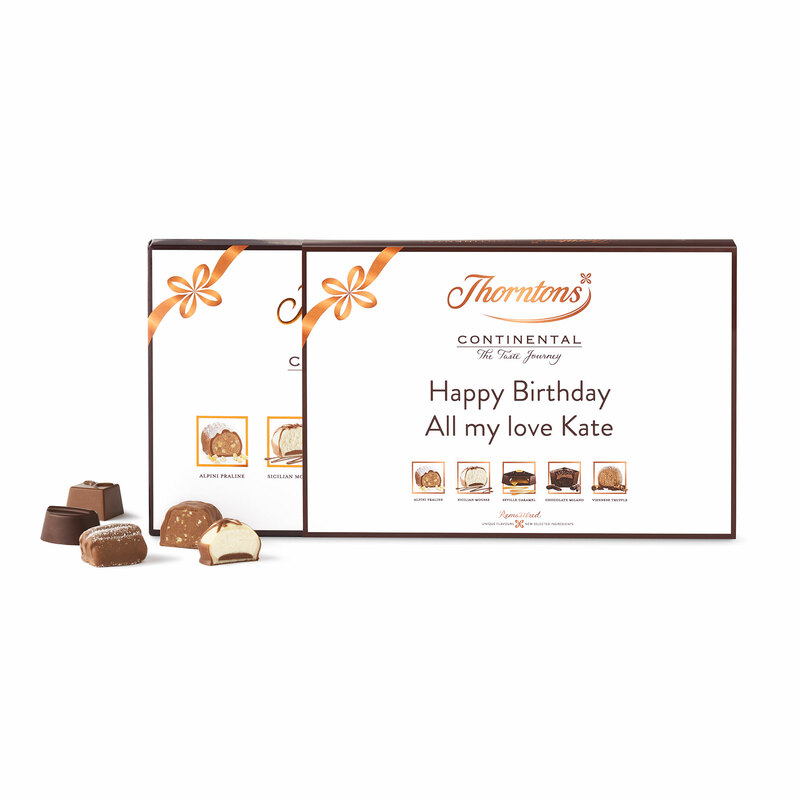 All our Continental favourites remain but with every flavour richer, every taste sharper, every bite more dazzling than ever before. 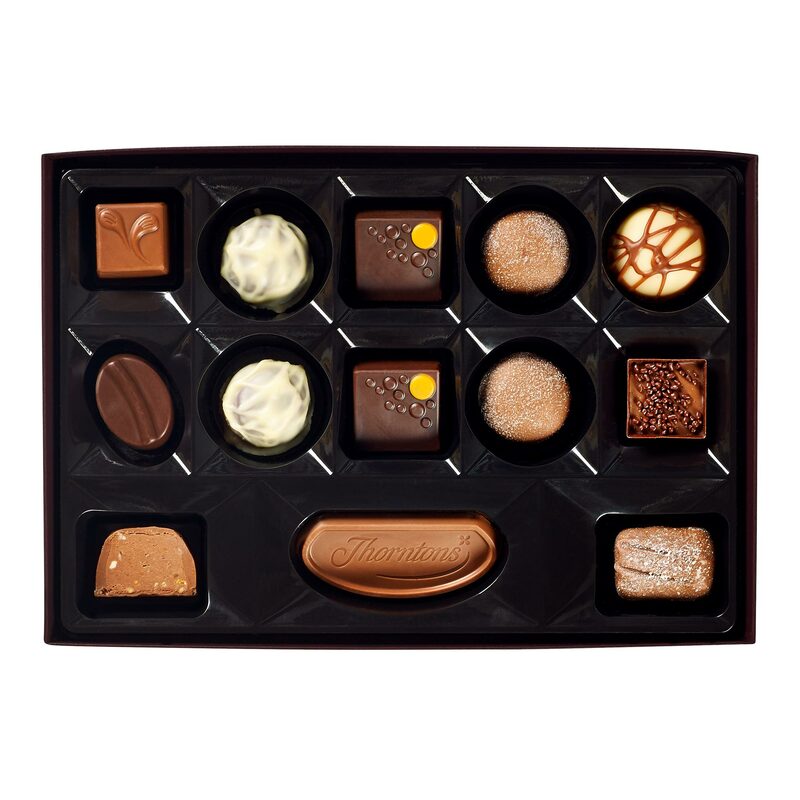 This box is just the right size for an indulgent taste experience. Try a Viennese Truffle, inspired by the light, airy chocolates of Vienna; then the finest hazelnuts roasted to perfection in the Hazelnut Slice; or try the Sicilian Mousse, whose impossibly fluffy lemon mousse transports you to sun-kissed Sicilian lemon groves. The new flavours have to be tasted to be believed. Dark chocolate contains: cocoa solids 48% minimum. Sugar, cocoa butter, cocoa mass, dried whole MILK, butter (MILK), vegetable oils (palm, shea), HAZELNUTS, dried skimmed MILK, glucose syrup, fat reduced cocoa powder, sweetened condensed milk (whole MILK, sugar), humectant (sorbitol), dextrose, whole MILK, double cream (MILK), MILK fat, lactose (MILK), concentrated orange juice, invert sugar syrup, emulsifiers (SOYA lecithin, sunflower lecithin), lemon juice powder (maltodextrin, concentrated lemon juice), dried instant coffee, ALMONDS, salt, flavourings, stabiliser (invertase), sea salt, acid (citric acid) colour (paprika extract).